Preheat oven to 400°. 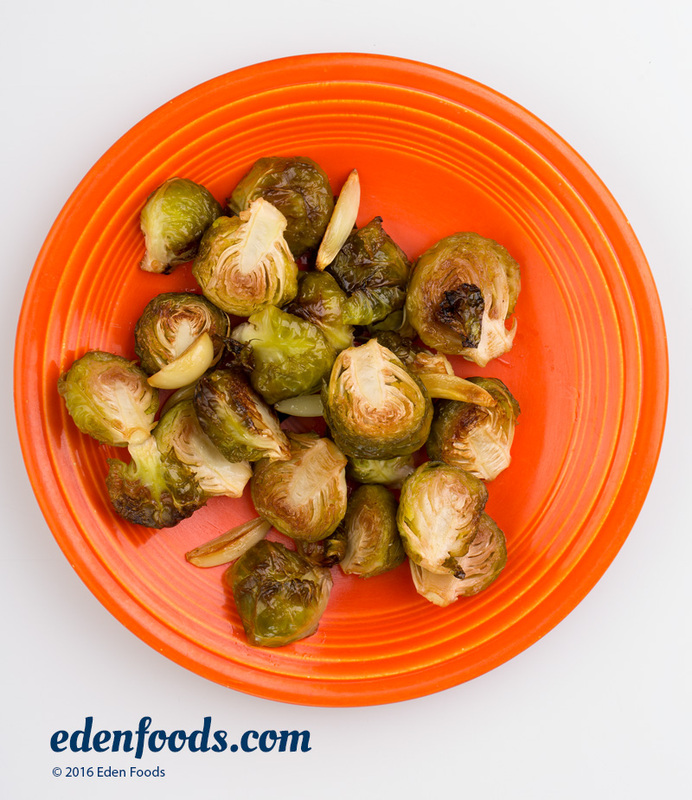 Combine all ingredients and toss to mix and coat the Brussel sprouts with oil. Place on a baking sheet and evenly spread out. Bake until golden and tender, about 40 minutes or so, mixing several times to evenly roast. Cooking time will vary depending on the size - thickness of the sprouts. Remove and place in a servinng dish.